Last Sunday after I came home after pitching my book to 200 strangers at a baby fair (where I wasn’t allowed to sell books because it was an “educational event”), I got a message from a friend who suggested that I might want to look into being a vendor at the La Leche League’s Latch On and Breastfeeding Celebration. 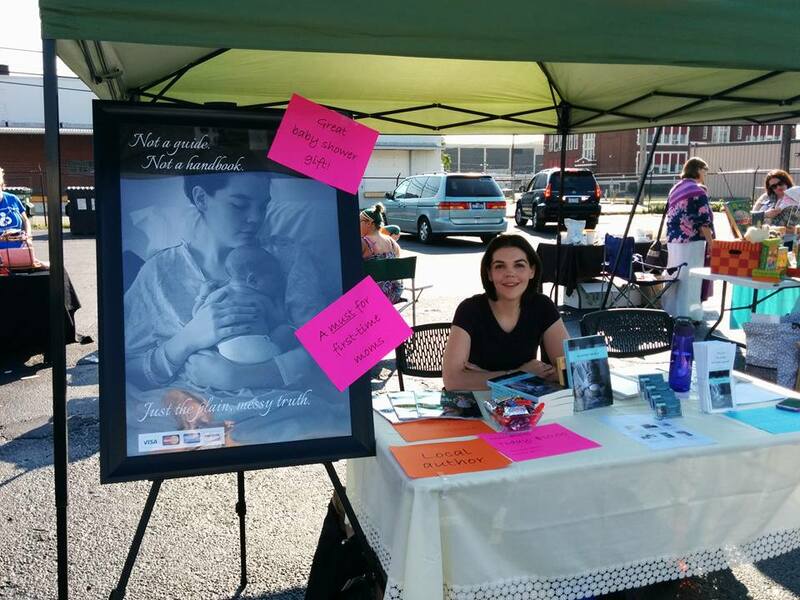 She was kind enough to acknowledge that this might not be my cup of tea–since (as you’ll find out in the book) breastfeeding damn-near killed me–but, hey, there would be a lot of moms there. And it was only $15 for the space to set up the table. But enough time has passed since those desperate days when I spent far too much mental energy rationalizing why I formula fed my baby. I enjoyed this event more than last week’s baby fair for a few reasons. I was allowed to sell. The stream of people was more laid back and I could spend more time talking with potential readers (which allowed me to better tailor how I pitched the book to them). I got a chance to walk around and speak with other vendors. I sold a handful of copies, but about a dozen people took information with them. A couple of doulas who wanted books to recommend to their clients. A couple of people who wanted to buy it later for a possible baby shower gift. And a few who preferred to read on a Kindle, but didn’t want to forget the title. I talked to a mother who still managed to show interest in the book while balancing a baby and trying to visually track where her second child was. She mentioned that she belongs to a book club in her church and that this might be interesting for them. She passed me some money for her copy and said she would pick it up on her way out. She did. And as she walked away, she was already flipping through it–still balancing her baby, still visually tracking her other child. In my head, I guffawed loudly. “Oh yeah, I mean, I have a nine-year-old so, I know.” She started to turn away at this point, distracted by something else. Then she turned back for a moment. “Thanks.” And then she was gone. The thing that’s hard about these events is that while other people are selling lotion, books, soap, and handmade crafts–I’m basically selling my soul. I’m getting better at allowing disinterest to not sink in too deeply. I tell myself that not everyone likes reading. That maybe she’s not interested because she has three kids already. That maybe this first-time mom with the 1-week-old baby doesn’t need a cheerleader in her life. Maybe she has enough support. Maybe that’s why she’s not jumping at the chance to buy this book. Today, as my mom and I packed up our table and chairs, I focused on the positive. But the book is now in four more people’s hands than it was before the day started.